Dimensões desta antevisão em PNG do ficheiro SVG: 776 × 600 píxeis Outras resoluções: 311 × 240 píxeis | 621 × 480 píxeis | 994 × 768 píxeis | 1 280 × 989 píxeis | 783 × 605 píxeis. English: The map shows administrative division of Austria-Hungary. 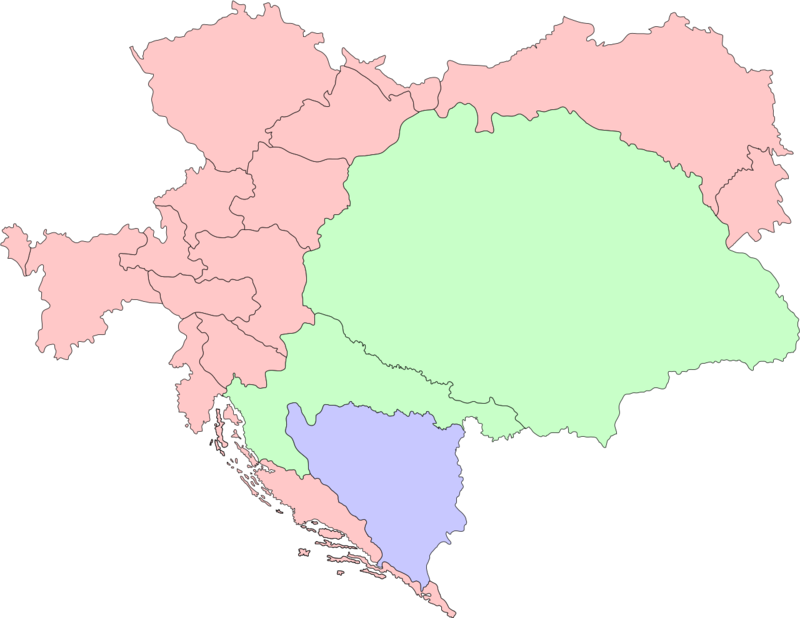 Cisleithania, governed by Austria, is shown in red; the Lands of the Crown of Saint Stephen, governed by Hungary, are shown in green; the Condominium of Bosnia and Herzegovina, which was governed by both, Austria and Hungary, is shown in blue.